This article originally appeared on Ideas Lab. Thermostats that automatically adjust the heating and cooling based on a home’s occupancy. 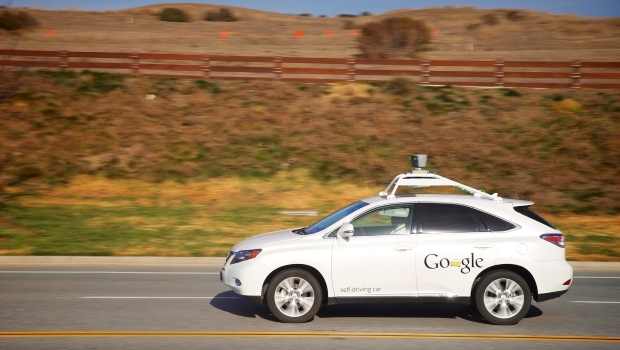 Cars that automatically brake to avoid collisions, like when a child runs into the street. Smartphones that alert users when it is time to leave for their next appointment based on current traffic. Every day, advances in data-driven automation are leading to greater efficiency, increased safety, and better quality services for consumers, yet some people still cling to the fear of a Terminator-style future where artificial intelligence will trump human reasoning and lead to the overthrow of society as we know it. For some individuals increased automation is not a sign of progress, but rather portends a future where computer algorithms will coldly decide the fate of billions—who gets loans, insurance, or even jail time. These are scary claims, and if true, we should take up arms against the rising tide of big data and predictive analytics. Fortunately, the future looks to be much brighter than these critics would have you believe. There are two main problems with the claim that our lives will soon be under the control of our algorithmic overlords. First, the problem is not with automation itself, but rather that individuals want to avoid losing all sense of control. It is worth remembering that plenty of individuals have been the victims of hyper-rational decision-making without an ounce of silicon in sight. Almost everyone has experienced the frustration of being on the receiving end of the customer agent’s well-worn retort, “I’m sorry, that’s company policy.” We certainly do not need computers to teach us how to treat others with a complete lack of empathy. The real issue here is not automation, but that sometimes bad things happen to people unfairly and they have no recourse. Problems like this exist when there are no escape valves or emergency switches so that individuals can signal that the system is not working for them and they need redress. And this is a problem that needs to be solved regardless of whether individuals are talking to a computer or someone who acts like one. There are two steps to solving this problem. The first step is to minimize the need for intervention by creating processes that make fewer mistakes. This suggests that we should be trying to insert more data and better analytics into processes. Ultimately, personalization helps ensure that individuals are treated fairly. For example, more data and better computer models can help explain why certain individuals with traditionally low credit scores might actually not be much of a risk and should be extended credit. The second is to make it easier for individuals to seek an intervention when the system is not working for them. Automation helps here, too. Automation frees up resources so when somebody needs special assistance, there are resources available to help them since the routine tasks are already being handled. For example, ATMs have reduced the need for tellers to count out money and take deposits; instead, these bank employees can focus on higher-value, higher-productivity activities like answering complicated financial questions. These interventions are necessary and normal. After all, no system is perfect. Even the best predictive algorithms are not accurate one hundred percent of the time. Netflix, for example, offers its users a list of movie recommendations; it does not tell them what movie they must watch next. Sometimes individuals will need to override automated systems and we should ensure they can; however, these manual interventions should be infrequent because the system should work automatically for as many people as possible. Unfortunately, those who look through rose-colored glasses that ignore the failures of the present do us a disservice because it is not automation we should fear, but rather complacency. It is acceptance of the status quo, rather than a longing for things to get better, that stalls progress. So I encourage you to join me in looking forward to the day when health care applications provide patients faster access to routine diagnoses and educational software create personalized learning experiences for students. Because as more processes are put on autopilot, we will unyoke ourselves from routine tasks and enjoy the freedom to help those on the margins. Stagnation will achieve nothing. It is data-driven automation that will result in improvements in both quality and efficiency for all.